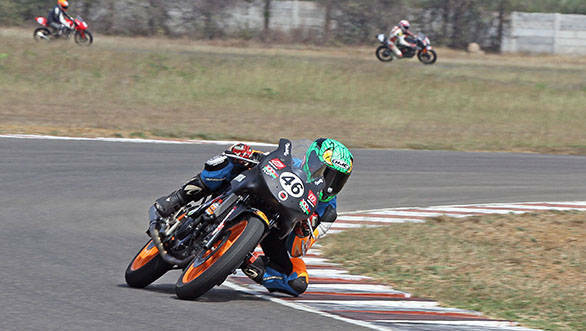 The fifth round of the 2015 MMSC FMSCI Indian National Motorcycle Racing Championship came to an end yesterday at the MMRT in Sriperumbudur, Chennai. The weekend also held the first ever Honda All-Ladies Race in which 10 women raced four laps on race-spec Honda CBR150s. Meanwhile, in the Group B (Open) class, TVS Racing's Jagan Kumar managed a double win this weekend, making him the champion of this season. In the Group C (Open) category, Mathana Kumar from Ten10 Racing won the title while Vishwadev Muraleedharan of Sparks Racing took first in the Group D (Novice) class championship. On Day 1, Jagan had to start from last because of a battery failure in the qualifying session. However, within no time, he had managed to make his way up the ladder to eventually pass TVS Racing's KY Ahamed and Harry Sylvester to win the race. Ahamed, who finished second ahead of Sylvester, had managed to qualify on pole for this race. On the second day, Jagan patiently waited behind the race leaders for the first few laps before making his move and breaking far ahead of the pack by the end it. Finishing second and third were KY Ahamed and Kannan Subramani. 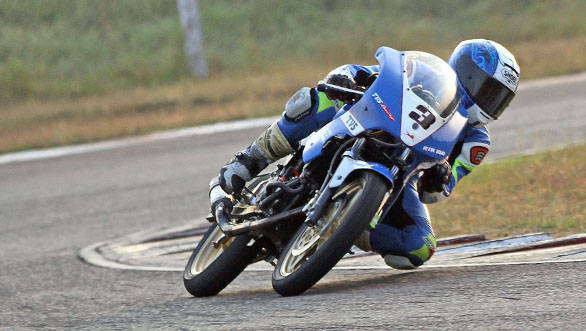 Mathana Kumar saw a good end to the weekend as he took the Group C (Open) category championship, by winning both races ahead of Rajiv Sethu S and Shyam Shankar. In the Group D (Novice) class, Kannan Karnan had finished second on Day 1, and first in the final race thereby winning the championship according the provisional results. However, he was subsequently stripped of the 50 points he had won due a technical infringement in his motorcycle that was caught during the post-race scrutiny. This automatically pushed Muraleedharan to the top of the leaderboard. 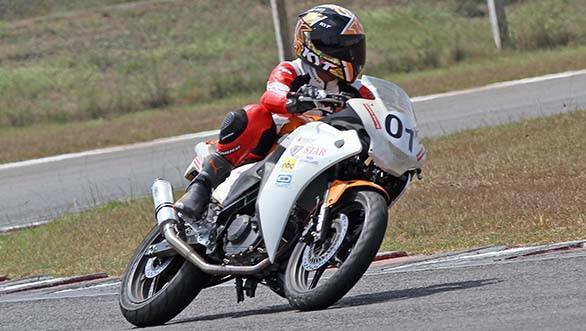 In the CBR250 (Open) category of the Honda One-Make Championship, Sarath Kumar, who had already won the championship, opted to skip the race. Sumit Lucas Toppo, who was on P1 in the same category won the first race ahead of Mathana Kumar and Hari Krishnan R. In Race 2 however, Dinesh Kumar took first place ahead of Rajiv Sethu and Hari Krishnan. In the CBR150 (Novice) championship, Kishoar VS won both races after he qualified on pole on Saturday. Aravind Balakrishnan won the title after he finished second in both races. In the first Honda All-Ladies Race, Chennai's Rehana Reya took the chequered flag after she got past pole-sitter Pooja Dabhi.